Jumia has four million active African consumers on its digital platform as at 2018. But it was founded by two French entrepreneurs in 2012. Last week Jumia was celebrated globally for listing on the New York Stock Exchange. It was a novelty for African startups which Jumia is considered to be. But the company’s African identity is coming under scrutiny after this significant business move. The company operates in 14 African countries but has it’s headquarters in Nigeria. In 2016 it became the first African startup to hit a $1bn valuation. Jumia has four million active consumers on its digital platform as at 2018. But it was founded by two French entrepreneurs in 2012. The history of its founders and how it operates have now fueled the debate over whether it is an African business or not. Various African Startup founders and analysts have been vocal on social media on the issue. We are upset because there is a painful not too distant history there. We don’t want this reproduced in our startup ecosystem. We welcome foreign founders to work side by side in our ecosystem. But we don’t want them to represent us, to speak for us, to pass for us. 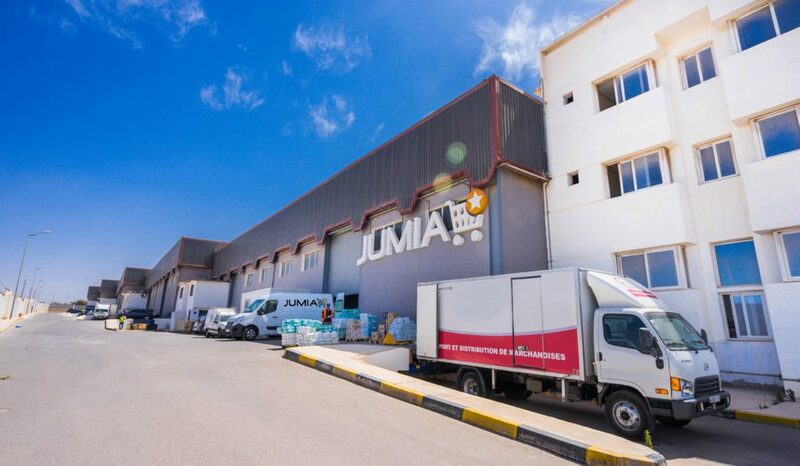 Jumia although operates in Africa exclusively has it’s platform setup based in Portugal. There are concerns about the composition of its top global executive team which is non-African. Jumia listed 17.6% of its shares at $14.50 a share on the New York Exchange with hopes of raking in more investments to expand. The company will have access to a larger pool of investors and global visibility. Officials of Jumia are hoping to raise $196m for shareholders and for future investment. Jumia has operational footprint in 14 countries. It is popular in Nigeria, Kenya, Ghana, Algeria, Angola, and Senegal. The company on its digital platform sells anything from electronics to clothes. It also has hotel and flight booking sites as well as food delivery platform. The company’s sales jumped by almost 40% last year to $147.3m and is considered ‘Africa’s Amazon’. But Jumia is yet to be profitable with analysts saying it has accumulated losses of almost $1bn since it started operating.